Well, my music is focussed on tribal and dark ambient genres and my main tools are synthesizers, field recordings and ethnic instruments like flutes, percussions, bowls and didgeridoos. I’m a self-taught musician and I use to start most of my projects from raw improvisations that later evolve in a continuous refinement process. 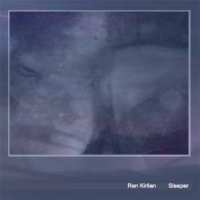 My music carries evident influences from artists like Steve Roach, Alio Die, Robert Rich, Mathias Grassow, Oöphoi, Lustmord, Thom Brennan and Jorge Reyes. My interest for music was always present in my life since I was a child, although I wasn’t especially interested in making music myself. A friend of mine once came back from a trip and gave me a “Hearts of Space” compilation tape. It included a track by Steve Roach and Robert Rich that totally struck me. I started searching for cds and found “Western Spaces” and “Desert Solitaire”. They changed my life forever, and soon I was totally focussed on this style of music, so I started thinking about the idea of doing something similar myself. In a way, it changed my perception about music and pushed me to create my own sound experiences. In the early 90’s I was studying at college and had no spare money at all, so I had to ask my parents for money to buy a second hand keyboard. It was a gorgeous Roland Juno 106 that really opened up my mind into sound sculpting. I loved those deep and fat pads it was able to produce. I used this synthesizer for over ten years, learned a lot about synthesizers and music composition, and even recorded some of my first albums with it. Until now, I’ve recorded ten albums while the most recent one is a compilation double disc. Some of my music is free for download under a creative commons license. You’ve made quite some music until now. Can you provide an overview of the projects and albums so far, and share your thoughts on them? Although I had previously recorded a lot of material, I believe that “Shore of Darkness” is my first professional work. It collects my first experiences mixing dark ambient and tribal genres, carrying a lot of influences from the ambient scene at end of the 90’s. “Obscurity” was the next recording, being a dark and atmospheric/space oriented work. Despite the title, it contains some melodic passages over dark noises. A lot of field recordings and Juno 106 can be heard here. The album came out in 2000, and I decided to share both albums on Napster, where I received a lot of feedback. This encouraged me to continue my quest, so I eventually recorded two new albums, “Melting Point” and “Limbo”. Both carried on in the tribal- ambient style, but included more acoustic sounds and percussion. “Melting Point”, recorded in 2001, tries to collect some of my experiences and influences around some private live recordings I did for some time. 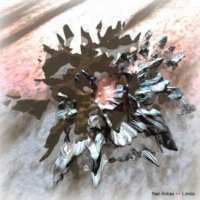 I feel it offers a nice mixture between atmospheric and tribal-ambient tendencies, next to electronic and acoustic instruments such as synthesizers, samplers, flutes, ocarinas, bells, seeds, didgeridoos, rain stick, percussion, field recordings and my own voice. This is also the reason I chose the title “Melting Point” (the working title was “Meeting Point”). Some tracks were recorded as they sound on the album, while some others needed some additional enhancement. This album also contains one of my favourite tracks (“Cave of Forgotten Fires”), which was my first collaboration with Patrick van de Ven. The piece was recorded just in one evening of hard work through the internet. “Melting Point” and “Limbo” were very inspired by artists like Steve Roach, Jorge Reyes and Mathias Grassow. 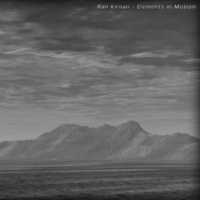 Later that same year, I composed “Isolated Landscapes” which is a collection of long form dark ambient and experimental pieces from previous recordings. 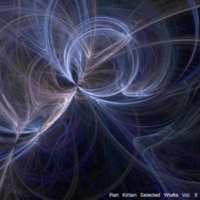 “Initial Flow” (2002) and “Fade Out” (2003) were centred around static, atmospheric and space ambient, introducing new sound sources and gear, sounding a bit different from previous albums. 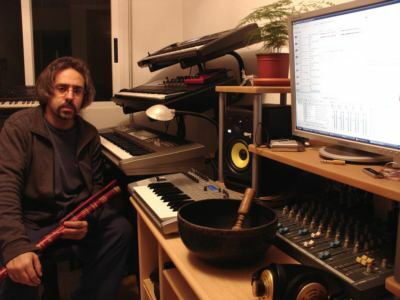 “Elements in Motion” was recorded in 2003 and 2004, in my new home studio called the Blue Room. The album carries several influences by Oöphoi and Lustmord. Again, it collects various experiments I had been doing for a long time, inspired by dark landscapes and thoughts related it. Using a lot of processes in my computer, this album contains mostly deep drones, treated voices and field recordings. This time, synthesizers are not as present as on my other projects, they act more as textural environment for the major layers of organic evolutions and industrial environments. I’m very happy with this album because it is just as I pretended it to be: dark, dirty and sometimes hard to understand, but also deep, rich and attractive (at least for me, of course). Although both “Elements in Motion” and “Sleeper” are made up of field recordings, drones and voices, these elements are treated in a very different way. I’m very happy with these two albums, as they paved a path for new projects. After three years of silence, I released “Selected Works” in 2007, a double disc compilation that collects some of the most popular tracks from my albums as well as unreleased and live material. I assembled this album in order to further promote my music, offering it for free on my website. I will be doing this from now on for almost all of my albums. Do you keep contact with other (electronic) musicians?. I imagine your fellow countryman Max Corbacho must be one of them..
You’re absolutely right. I consider Max one of my closer friends as well as a great master. We keep in touch by email for years and we met twice in Barcelona, the city where he lives. He is a big influence for me and I frequently ask for his opinion about my projects. Max is one of the finest persons I know and a very professional musician; I’m actually one of his biggest fans. Until now we didn’t collaborate, but we very probably will someday. Patrick van de Ven is another great artist and friend whose help and opinion I really appreciate. We first met at Napster, where we were sharing our amateur ambient music. That encouraged us to collaborate on a few tracks (“Cave of Forgotten Fires”, “Sacred”) and planning bigger projects like an album. This all happened through the internet, as Patrick is from The Netherlands. Until now, we never met in person. He already released one album named “Involution” which think is really fantastic. What does your studio look like, what kind of gear do you use. Any favourites among them ? What’s you opinion about VST’s? 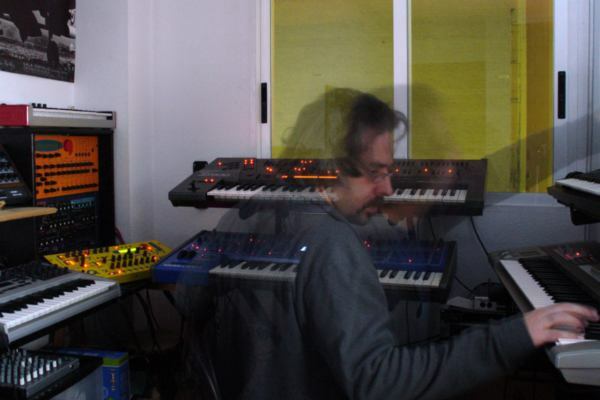 At the moment, my Blue Room studio is a little room at my home loaded with instruments, mostly synthesizers. I really love to spend time tweaking the knobs and playing the keyboards. Some of my favourites are the Korg Z1, Ensoniq Fizmo and Access Virus Indigo 2. I like the Z1 for leads and pads, it has it’s own voice and character, and it can fully shape any sound I can imagine. The Indigo, which is a rare limited edition named Redback I’ve found on Ebay, is an excellent tool to create deep pads and sharp leads too. The Fizmo is a strange machine, most appropriated for noises and evolving atmospheres that fits very well to ambient styles. Other favourite synthesizers are the Oberheim OB12 and the Waldorf Microwave XT. Both can offer a rich and really complex support in my studio. Apart from synthesizers, I enjoy doing field recordings and deforming them to create strange sounds and atmospheres. One of my hobbies on a warm and cloudy day is walking through the forest, taking pictures and recording sounds with a mini disc. Voices and instruments like flutes, percussions and singing bowls are some of my additional tools I use to like. In regard to VST’s, well, there are some really powerful VST tools today. I used some in the past, but toady I feel more attached to traditional knob tweaking and hands-on synthesizers. While most of my synthesizers are digital, I still appreciate the immediate access to parameters and the feeling of playing a real instrument, not a simulation on a screen. Computers are the heart of my work, I use them mostly for recording, sampling and mixing purposes, but I currently don’t use any VST. Anyway, I have an open mind towards any interesting new tool on the market, but I have to recognize that it’s a world I left behind some time ago. On the other hand, I would like to check out The Dreammachine by HG. Fortunately, it’s a tool for creating atmospheres and soundworlds. I’ve seen some demos at YouTube and it sounds really awesome. Any interest in collaborating with others, or do you consider yourself a lone wolf in the genre like many others? I am probably a lone wolf as you say, but I would like to do some collaborative work in the future. As I said before, I did some music with Patrick van de Ven in the past and we have a collaborative project in mind for years now. I hope it will start soon. The contact and reminiscent style with Max Corbacho will probably feed some project too. As we live in the same country it seems easy, although we are not specially close. In addition, I would also like to make some multimedia live act with other artists someday, but ambient styles seems to be not very popular in my country, so it’s not easy to find other artists or do live collaborations. “Dissolution” is a further exploration of the dark fields I studied for “Elements in Motion”, but taken from a different point of view. 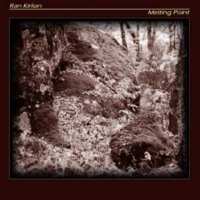 It started like an abstract and experimental project, but slowly evolved into a more conventional dark ambient and drone-based album after several revisions of the content. While composing this album, I recorded sufficient material for two or three more discs. Some of it will be released someday, some not. I’m satisfied with the final outcome and I’m impatient to released it (probably through CD Baby), most likely around February 2009. I have several projects on my hand right now. One of them is provisionally entitled “Phobos & Deimos”. It’s a space/atmospheric double album that comprises recordings from the last two years. “Materia” is another album I’m actually working on, that combines tribal and dark ambient. In a way, it kind of hails back to my tribal roots with several new elements into composition and sound treatment. It also features some collaborative work by Patrick van de Ven and R. Mutt, especially on guitar parts . Beside music, I’m also busy working on live-in-the-studio video clips. Next to synthesizer demos, I do illustrate reviews for my blog. By now, I recorded three videos this year, mostly based on improvised music. It has been a very satisfying experience for me and I will continue doing them. Personally I think ambient music is excellent for combining disciplines, and video-edition allows me being creative in another way. In addition, I feel it could be a good way to promote my music in other fields. I’m releasing most of my albums under a Creative Commons license, so people can download them for free at my website and via web services like Jamendo and Lastfm. I hope to reach more people this time.